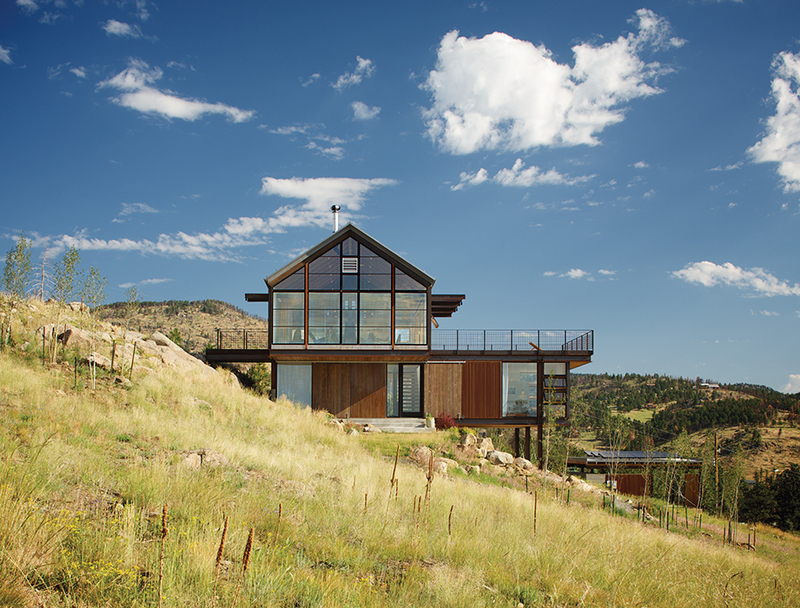 A natural disaster cleared a property in the Colorado mountains, giving an architect and her family a blank slate on which to build their green dream home. The house that Renée del Gaudio designed for her family in Boulder uses energy-efficient Loewen windows on the south facade that incorporate triple-paned low-e glass from Cardinal. When a Denver couple approached Mike Moore, general contractor and design principal of the Boulder-based firm Tres Birds Workshop, sustainability topped their list of requirements. “The premise was to build a house that would last 400 years,” says resident John Damiano. The house, located in Denver’s Highland neighborhood, runs completely on solar energy. “Considering all of the foot traffic around their property, [the owners] made it very clear that they wanted to find a way to maintain as much privacy in the home as possible,” architect Chad Mitchell says of this Denver home. “Thus, the main floor of the home is elevated from the sidewalk by about six feet.” The exterior siding is red cedar with a custom Sherwin-Williams stain. In Genesee, Colorado, architect Alexander Gorlin's ample use of stone was inspired by the Native American architecture of Chaco Canyon, New Mexico. Surrounded by ponderosa pine trees, the home takes a cruciform shape to fit into the landscape: one wing runs up and down the hill and the other runs across its horizontal contours. The former is capped by a tower and features a great room at its base; the latter houses smaller private rooms.